Southwest Makes In-flight Movies Free! In case you needed yet ANOTHER reason to “luv” Southwest Airlines, I’ve got one for ya: free in-flight movies. Yep, now you can watch up to 30 movies, including the latest releases, on your next Southwest Airlines flight FREE. That is a HUGE win for parents, I’m here to tell you. 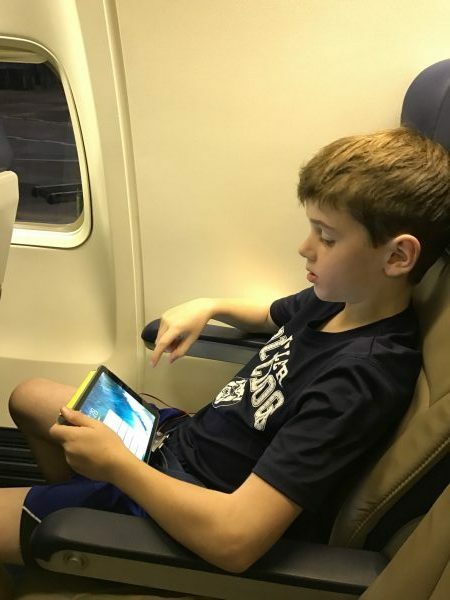 Half of our stress before traveling is making sure everyone has downloaded a movie or two from Netflix or Amazon Prime, which they can watch on the plane. It’s always a pain, as someone’s device doesn’t have enough space, they can’t find a movie to watch, etc. Now they can just pick a movie from the Southwest list, as there is usually always something of interest, since they include new releases. One less hassle to deal with — hooray! Last month, Southwest began offering free in-flight instant messaging, using WhatsApp and iMessage. You can also now stream music free onboard via iHeartRadio. I did this on my last flight and enjoyed it. 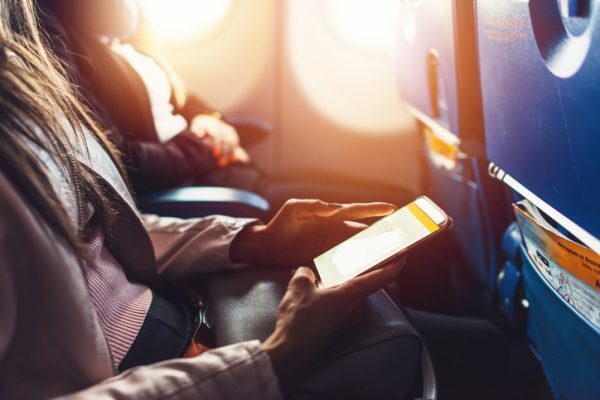 “The onboard experience is one of the most important elements of a customer’s journey with us,” said Ryan Green, vice president and chief marketing officer at Southwest Airlines. Southwest already offers two free checked bags per person, no charges for changed or cancelled reservations and hands-down the best customer service in the industry. These are some of the MANY reasons I love to fly Southwest. I love how Southwest is going the polar OPPOSITE direction of what every other airline is doing, which is increasing fees left and right. I have no doubt that will crown them the ultimate winner. Zig when everyone else zags… a great business strategy! You can check out which movies (and TV shows — but those were already free :)) are available by visiting Southwest.com/WiFi. And here’s my guide on accessing and enjoy Southwest WiFi and their in-flight entertainment portal on your next flight. Have you flown recently and checked out the free movies?